When you are looking for a mate, one to share your life with, or one to get married to, make “Kindness” in that person the main criteria. If he or she is also a professional, rich, good looking and talented, that’s great. But these may not last or may not matter that much after a while, but Kindness will always matter, and will be needed more and more forever. 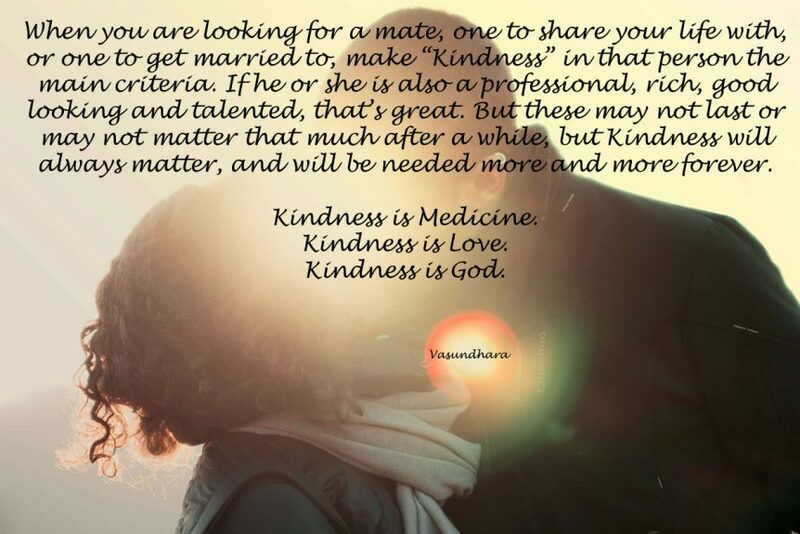 Kindness is Medicine. Kindness is Love. Kindness is God.